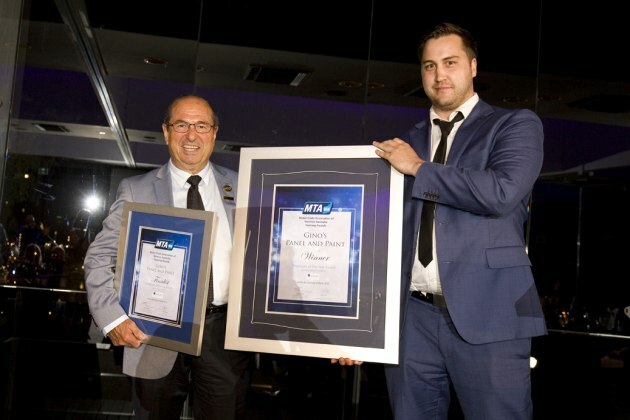 The finalists and winners of the MTA WA Training Awards were announced at an industry dinner held in Kings Park, Perth last Thursday 22 March. The Premier of Western Australia, the Hon Mark McGowan MLA ,was the evening's keynote speaker at the gala dinner. 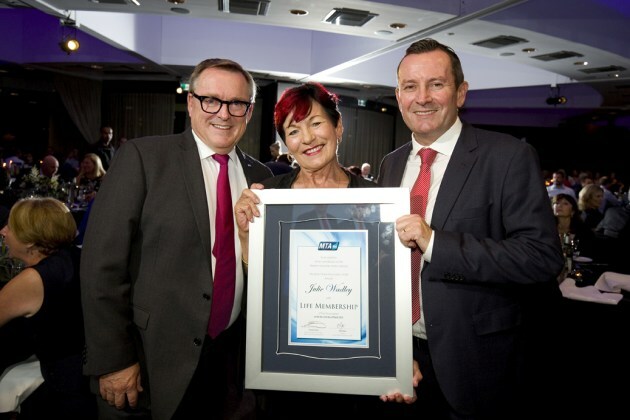 Autobody repairers were well represented in these awards with Gino's Panel and Paint scooping Employer of the Year and Julie Wadley of Wadley Panel Beaters taking home the MTA WA Life Membership award. Julie Wadley has over 40 years’ experience in the motor industry and is a director of her family smash repair business, Wadley Panel Beaters in Rockingham. Julie has operated the business since the death of her husband in 2008. She served on the MTA WA Board of Management from 2000 to 2013, including as Vice Chairperson, and has been a member of the MTA WA Body Repair Committee from 1995 to 2013, including twice as Chairperson over those years. Wadley was also elected to the RAC WA Council by members from 1997 until now, as well as being elected to the RAC WA Club Board by the RAC WA Council from 1997 to the present. Wadley was appointed to Capricorn Society as a Director in 2014 and was Capricorn's first ever female Director. She also serves on the Audit and Risk Committee and the Capricorn Relationship Committee. She is a Foundation Member of Rotary Club of Safety Bay and Past President and Secretary during the period 1995 - 2005, a Member of the Australian Institute of Company Directors and the Institute of Automotive Mechanical Engineers. The award was accepted by Director, Basil Scagliotta. At Gino’s Panel and Paint they believe that quality is never an accident and are dedicated to being thoroughly professional and professionally thorough; they call it “The Gino’s Way”. Training is at the centre of everything they do. They are a long time host employer with MTA WA and provide on-the-job training for 10 apprentices. They have an extensive training program from recruitment to trade completion. Plus they don’t just focus on technical skills, every single member of Gino’s staff receives regular training in areas such as customer services, quoting systems, and performance management. Regular tool box meetings and participation in the I-Car training program help staff keep on top of changes in the technologically driven body repair industry. 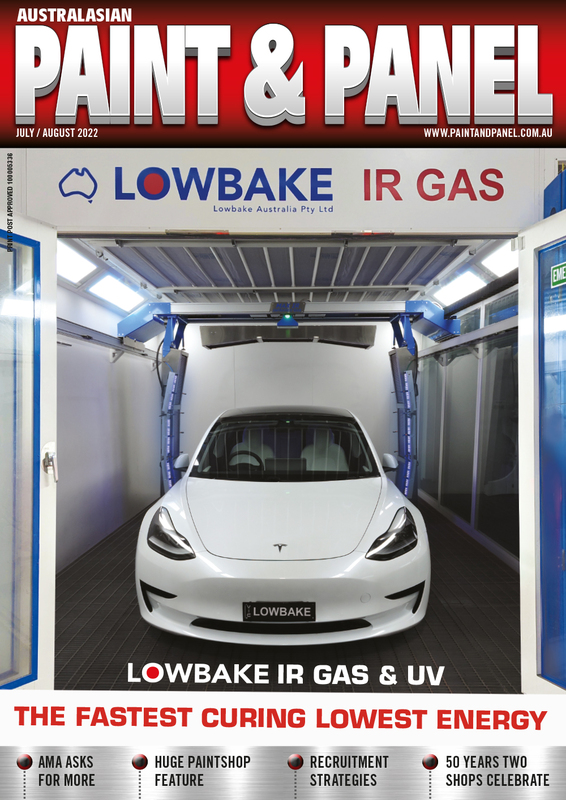 Look out in the May Paint & Panel magazine for more details on “The Gino's Way” which has been most effective in training and retaining apprentices.